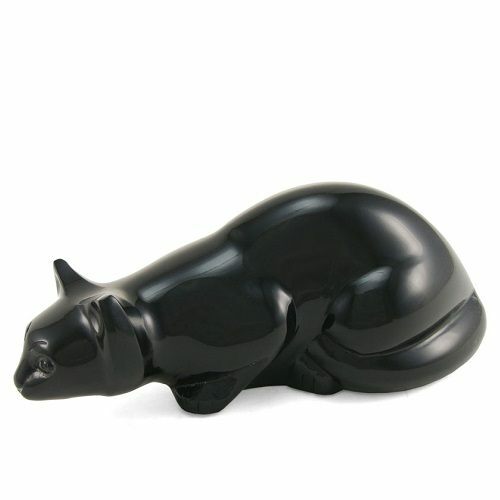 The Onyx Pouncing Cat Cremation Urn is crafted from brass and captures the playful nature of a cat, ready to pounce on it's favorite toy. The body features a beautiful, sculpted shape which is finished with a deep color that perfectly compliments the smooth texture. This urn is both elegant and whimsical, and will celebrate the wonderful memories left by an unforgettable feline companion.